I often find myself asking people in my network for book recommendations, and as something of an avid reader myself, I too frequently find myself recommending books to friends, family and colleagues. With that in mind I thought it would be nice to create this page – a little library of books I’ve read, enjoyed, taken something from and recommend to you. 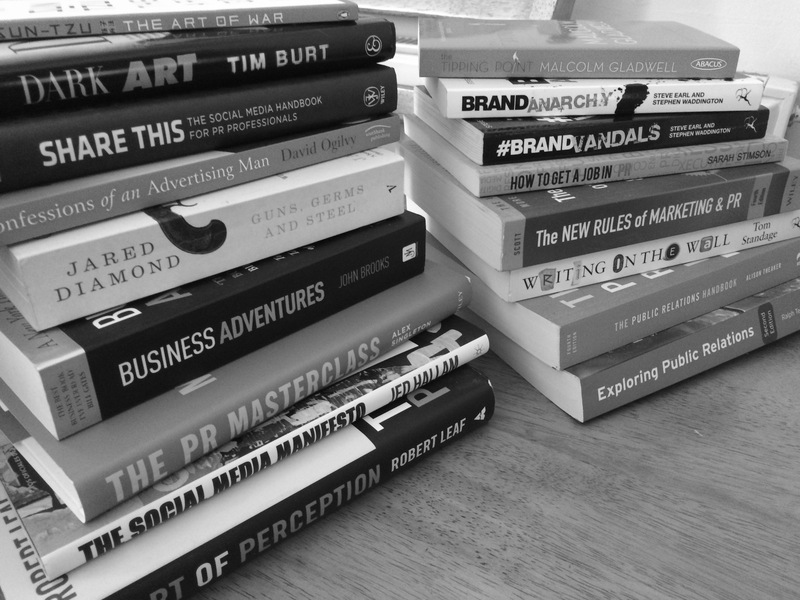 I’ve broken these down into categories for ease of use but if you work in public relations, study the subject, or are just interested in the PR industry, I’m sure there will be something here to suit you. If you think I’ve omitted anything or have a recommendation for me – especially if it’s authored by a woman, as this list is rather male heavy – feel free to ping me a tweet or drop me an email.